April 1st and April 2nd are the first two trading days in April. A-share blockchain concept stocks were extremely excited by the “inside blockchain information service filing list” issued by the Internet Office last Saturday (March 30). Many stocks opened at the daily limit and the intraday blockchain The index continues to run at a high level, vividly explaining what is "enthusiasm is still there, the disk is red." The list of the first batch of blockchains registered by the Office of the Internet is a "rejuvenation medicine." The retail investors did not change the initial concept of “chasing the concept”. The trading volume in the past two trading days increased significantly. On April 1st, the turnover was 20.45 billion yuan, and on April 2, the transaction volume was 65.91 billion yuan. The good performance of the volume and price was being staged. In the first batch of blockchain filing list of the website, includingEasy to see shares,Anne shares,Ping An,Xinhua Net27 A-share listed companies, etc. The "centralized management" of the network information office has brought many high-weight listed companies to the surface. However, it is necessary to remind investors that the current list of filings does not represent the recognition of the relevant company's blockchain business and has made significant progress, but only the registration of information on the main blockchain information services. Does not represent the recognition of its institutions, products and services, nor does it involve industry regulation. It can be seen that the large-scale participation of industry giants has made blockchain technology more clear prospects. At the same time, some brokerage researchers pointed out that blockchain technology can be standardized and managed, and 2019 will be the first year of blockchain technology application. According to this official list, the chain has updated the business progress of the 27 A-share listed companies in the blockchain for readers' reference. Trusted data pool aspect. Easy View shares through the investment to set up a subsidiary - easy to see Tianshu Technology (Beijing) Co., Ltd., to focus on the "trusted data pool" technology development and application. The chain has learned that the “trusted data pool” mainly optimizes the data generation and management infrastructure of the enterprise through blockchain technology, ensuring that the ownership of the data and the benefits it generates are the producers of the data, while ensuring Data storage security and corporate business privacy. Through the blockchain technology to solve the problem of data source trust and data authenticity, improve the production management efficiency of enterprises, reduce the threshold of corporate financing, and improve the efficiency of corporate financing. At the same time, help financial institutions better identify high-quality assets and achieve accurate delivery of quality funds. Easy to see block. In 2017, Yijian shares acquired Shenzhen Hao Times Technology Co., Ltd. “Easy Block” was jointly developed by Shiji Times Technology and IBM, and was partially commercialized in April 2017, mainly serving the company's supply chain management and commercial factoring business; meanwhile, for some financial institutions and customers. Investment and financing provide services. This business brought a very high gross profit margin to the easy-to-see shares, and was therefore inquired by the Shanghai Stock Exchange. According to the company's annual report, the company's information service business revenue in 2017 was 127 million yuan, and its gross profit margin was as high as 98.06%. On the same day, Yijian shares claimed in the reply that the gross profit margin of the company's information service business was as high as 98.06%. The reason was that the basic module of the previous “Easy Block” platform was led by Yijian Co., Ltd., and the R&D expenses were incurred. The company Shenzhen Shidai Times Technology Co., Ltd. (榕时代) independently developed the business management system and assumed the research and development expenses based on the “Easy Block” system, which led to less research and development expenses in the era of accounting. The overall reflection can be expressed as follows: low operating costs, so the gross profit margin is low. However, it should be noted that Wang Yuehua, the general manager of Easy View, disclosed in May last year that as the company's technology research and development center, the company's Beijing Yijian Tianshu currently has only 6 core R&D members. One year has passed, what is the profitability of the blockchain business of EasyShare? Has the number of teams increased? Looking forward to the release of the 2018 Annual Report! Anne is the first A-share listed company to apply blockchain technology to the copyright field. It has also initiated the establishment of the first domestic copyright blockchain alliance with 13 other companies in the industry. In terms of copyright business, the copyright owner's copyright blockchain service platform “Copyright”, based on the underlying technology of the blockchain, utilizes the unforgeable nature of the blockchain to objectively record the creation information of the work, with low cost and high efficiency. Massive works provide copyright deposits. Anne and the National Copyright Protection Center are important strategic partners, and jointly built the DCI Innovation Lab. At the same time, as the vice chairman unit of China Blockchain Technology and Industry Development Forum, Anne shares also actively participated in the formulation of relevant domestic and international standards for Blockchain and Distributed Ledger. Hao Han, CTO of Anne's shares, publicly revealed that in 2019, under the guidance of the Ministry of Industry and Information Technology, the China Blockchain Technology and Industry Development Forum will also promote the establishment of four national standards. At the beginning of 2018, Donggang shares and Jingtong Network Technology Co., Ltd. (hereinafter referred to as Jingtong Network) reached a strategic cooperation intention on the combination of electronic invoices, electronic bills and blockchain technology. Jointly established a blockchain research laboratory, and set up special funds and funds to jointly promote the application and application of blockchain technology including but not limited to electronic invoices and electronic bills. Then in September, Donggang shares signed a partnership framework agreement with the ant blockchain. According to reports, the ant blockchain will provide Donggang shares with relevant support based on the ant blockchain. The two sides will focus on the areas of “blockchain+taxation”, “blockchain+finance”, “blockchain+finance”, etc. Carry out long-term and in-depth cooperation. In March of this year, Donggang shares reached a cooperation framework agreement with Ping Antong, which was invented by Ping An Group. Through the development of credit products such as invoice loans and tax loans, it will be applied to the financial sector, and will receive corresponding service fees according to the loan amount, increase the income of the electronic ticket business, and improve the profitability of the electronic ticket business. Secondly, "The cooperation can expand the customer base of the electronic ticket business and provide new impetus for the development of electronic ticketing. At the same time, through cooperation between the two parties, it will be able to enhance the company's technical capabilities, consolidate the advantages of blockchain electronic ticket products, and accelerate blockchain electronics. The development of the ticket business accelerates the realization of the company's strategic goal of transforming into the information service industry. It can be seen that Donggang's cooperation with Jingtong Network, Ant Financial and Ping An Group is a practical measure for its continuous application of blockchain invoice application. For Donggang shares, the company has experienced the pain of business transformation, and has transformed from single-note printing to integrated business across manufacturing and information services. Blockchain technology is a trump card for its electronic invoicing business. Hailian Jinhui is currently experiencing a period of transformation. The company is preparing to transform from a traditional manufacturing enterprise to a financial technology company. The development direction is focused on the industrial Internet, and the blockchain is one of its graspers. According to public information, the company acquired the financial technology enterprise linkage business in Beijing through additional financing and refinancing in 2016. Linkage commerce brings the company's business income in financial technology. From the 2018 mid-year report, the company's operating income was 2.51 billion yuan, an increase of 48.37%; the net profit attributable to shareholders of listed companies was 195 million yuan, an increase of 9.5%. In the composition of operating income, the company's financial technology business and intelligent manufacturing business are on a par with each other. The automobile and accessories business contributed 56.42% of revenue, and third-party payment and mobile information services contributed the other half of the revenue. However, it was learned from Hailian Jinhui's 2018 Annual Results Express that the net profit attributable to owners of the parent company in 2018 was 141 million yuan, a decrease of 65.82% over the same period of the previous year; operating income was 5.042 billion yuan, compared with the same period of the previous year. Increased by 26.17%. The main reason is that due to the strong supervision of the country's overall financial industry, Linkage Commerce has made strategic adjustments and has not completed its 2018 performance target. Hailian Jinhui has prepared for the impairment of collective goodwill. The company has applied for 38 blockchain invention patents and applied for 3 block software copyrights. The company independently developed the blockchain low-level framework excellent chain system (English name: UChains) through the China Information and Communication Research Institute trusted blockchain standard test. The supply chain financial service system based on blockchain is launched,Everbright BankCollaborate to complete business verification. In the second half of 2017, Advanced Datacom completed a separate investment in the blockchain company's flooding technology of more than 10 million yuan, accounting for 25% of the shares. The “Hive Chain” is the technical result of Fanrong Technology. The honeycomb chain is based on blockchain technology to reduce the complexity and frequency of trade capital settlement between parties, reduce settlement costs, reduce errors, and improve settlement efficiency. Committed to solving the financing difficulties of SMEs. The Honeycomb Chain Cloud platform adopts the self-developed Honeycomb Chain Multi-Chain Technology (MULC) and the Probated Proof of Stake (DPOS) consensus algorithm to improve the data synchronization speed of the entire blockchain and the storage of individual block information. Jingdouyun is a blockchain e-sports acceleration router issued by Xinxin Interconnect, a wholly-owned subsidiary of Chenxin Technology, which can generate GCP calculation value, and can be exchanged for other application certificates for use in the competition cloud. Used in application scenarios supported by the platform. The competition cloud is mainly based on the blockchain game application. At present, it can be seen from the competition cloud app that nearly 10 blockchain games and applications have been launched. The chain has to notice that the gameplay of the game is exactly the same as that of Thunder’s previous gamers. Users purchase e-sports acceleration by purchasing an acceleration router, and the GCP calculations generated by the acceleration can be used to redeem the certificate based on the relevant application consumption inside the competition cloud platform. Currently, GCP is unable to trade and does not have any currency attributes. Lu Jinsuo, the full name of ShanghaiLujiazuiInternational Financial Assets Trading Market Co., Ltd. is a financial platform under the Ping An Group. On March 4, 2019, Lu Jin announced that the company has applied blockchain technology to many platform operations such as user identity authentication and online loan transaction traceability. In addition to online lending products, Lujin has now used blockchain technology for some of its asset management, trust and private equity products. The chain learned that Lujin completed a strategic investment of $1.33 billion in December 2018. Investment institutions include SBI Holdings, Goldman Sachs, JPMorgan Chase, Macquarie Group, Chunhua Capital, UBS, All-Star Investment, Qatar Investment, and UOB. According to the data, as of the end of last year, the number of registered users of Lujin's platform reached 40.35 million, an increase of 19.3% compared with the beginning of the year; the asset management scale was 369.414 billion yuan. According to Ping An’s 2018 annual results report, its holding company has completed the C round of financing, with a post-investment valuation of US$39.4 billion. It is a strong strength. Lujinfu is a wholly-owned subsidiary established by Lujin in October 2014, specializing in online loan business cooperation. Founded in 2011, Lujin has also provided online loan services. In March 2012, it began to launch P2P business. Between 2014 and 2016, the cumulative turnover of the platform has remained the number one in the industry. However, taking into account factors such as policy compliance and listing, the online loan business will be divested and will continue to be provided by Lujin, and its positioning has been transformed from a “network lending platform” to a “financial asset transaction information service platform”. Therefore, the “Lujin Service Blockchain” and the “Lujin Institute Blockchain” belong to two different entities. Nanjing Runchen Technology Co., Ltd. is a holding subsidiary of Runhe Software. The company invested 16.5 million yuan with its own funds and holds a 55% stake in Runchen Technology. In other words, Runhe Software mainly conducts research and development of blockchain related technologies through Runchen Technology. It should be noted that Runhe Software has established Runchen Technology through its own funds investment, which means that the profitability of Runchen Technology will not adversely affect the financial and operating conditions of the listed company's main body. In last year's announcement, Runhe Software stated that their R&D expenses in blockchain technology were about RMB 10 million, and the number of relevant R&D personnel was about 37. The Trade Finance Blockchain Alliance is an interbank financial product. Xinhua Zhiyun is a big data artificial intelligence technology company established by Xinhua News Agency and Alibaba. Xinhuanet holds 40.80% of the shares and Alibaba holds 34%. Among them, the “Media Brain Copyright Blockchain” is the first copyright blockchain approved by the Internet Court. This technology is integrated on the “Media Brain·MAGIC Short Video Intelligent Production Platform”, which can produce a short video for one button. The copyright deposit certificate, and the electronic deposit certificate on the chain is connected with the judicial chain, so that the deposit has legal effect. The “Media Brain Copyright Blockchain” allows creators to directly test the Hangzhou Internet Court with one click, creating a one-stop service from creation to rights protection. At the beginning of 2019, Paper and Technology signed a strategic cooperation agreement with Xinhua Zhiyun to cooperate in the field of copyright protection to jointly protect original works. It is understood that Hang Seng Electronics established Hengsheng Research Institute in 2016, positioning itself as a pioneer of Hang Seng's cutting-edge technology, responsible for Fintech's cutting-edge technology and innovative application research, covering the frontiers of blockchain, high-performance computing, big data, artificial intelligence, financial engineering, etc. Technical field. In 2017, Hang Seng worked in the Fintech industry and invested in symbiont, a blockchain technology company, through its wholly-owned subsidiary, Intercontinental Holdings. In the field of blockchain, Hang Seng Electronics continues to improve its self-developed financial alliance chain technology platform HSL (Hangsheng shared ledger platform), expanding application scenarios in trade finance, supply chain and other business areas; operating financial technology blockchain alliance chain docking Relevant Internet courts, notary offices and other public trust institutions. The Internet Evidence Platform of Hangzhou Internet Court is the platform under the leadership of the Hangzhou Internet Court. Through the docking of electronic evidence service agencies, it stores electronic data summaries and pushes electronic evidence to the litigation platform. The Fantai District Blockchain Alliance Platform is the first batch of electronic evidence service platform to access the Internet Court's electronic evidence platform, providing electronic data deposit service, electronic evidence required by litigants, and Internet courts can directly adjust to the Fantai Blockchain Alliance Platform. Take the evidence. Zhejiang Wenteng Network Technology Co., Ltd. is the first batch of electronic evidence service organizations that successfully docked. FTCU, FinTech Block Chain Union (FinTech Block Chain Alliance, referred to as Fantai Alliance) is the blockchain base platform of Wanteng Network (a subsidiary of Hang Seng). Fun Chain Technology is a star enterprise within the blockchain. The company's partners include the People's Bank of China, China Foreign Exchange Trading Center, China UnionPay, Shanghai Stock Exchange, Shenzhen Stock Exchange, ChinaICBCEtc. Application scenarios that have been launched include digital bills, asset securitization (ABS), accounts receivable, digital deposit certificates, data transactions, equity, bonds, supply chain finance, traceability, and logistics management. The company has already completed financing of RMB 1.5 billion. This is the largest financing that the blockchain industry has achieved so far through traditional financing channels, and it has become the first quasi-unicorn enterprise in the blockchain industry. On August 31, 2016, Hangzhou Fun Chain Technology won a total of 17.5 million Pre-A rounds of financing from Junbao Communication, Zhejiang University and Xinyida; in December 2017, it received tens of millions of A-round investment from Fosun Guo Guangchang's Yadong Star. In June 2018, obtainedXinhu ZhongbaoLeading investment of 1.2 billion B rounds. In October 2018, Funlink Technology's blockchain open service platform, filoop.com, was officially launched, based on cloud services for resource allocation, and provided a variety of contract templates to help developers quickly and easily enter the chain. Guangzhou Netong Information Technology Co., Ltd. (hereinafter referred to as “Guangzhou Netcom”) is a subsidiary company of the listed company that successfully invests in the company, and is committed to the development and application of trusted network identity management, full electronic support and big data technology. The successful office is renamed from “Shenzhou Yiqiao”. The company mainly provides enterprise operation services, starting from the enterprise registration link, and solving various rigid service needs of the enterprise in the process of “life and death”. Guangzhou Netong and the successful office belong to the upstream and downstream branches of the industry. Judging from the results of the current blockchain in the areas of identity management and deposit certificate, Shunli and Guangzhou Netcom are expected to use the blockchain technology to achieve further business upgrades. Huitie.com is the intellectual property and Ketron cloud platform. The company's main body is Guangzhou Boao Vertical and Horizontal Network Technology Co., Ltd. Mainly for the majority of enterprises to provide Huizhiyun, Huijubao and other artificial intelligence big data cloud product services, intellectual property transactions and technology transfer services and science and technology services. The transaction volume of Huitang.com's intellectual property and science and technology services from 1.06 billion yuan in 2015 to 5.2 billion yuan in 2016, to 11.3 billion yuan in 2017 and 22 billion yuan in 2018. In February 2018, Huiju.com was awarded the C-round investment of IDG Capital and the Entrepreneur Dark Horse. In the field of blockchain, Huixian.com released the first blockchain copyright registration certificate on September 3, 2018, officially opening a new era of digital copyright and blockchain technology. On March 7 this year, Huitie.com and the United Trust Time Stamp Service Center reached a strategic cooperation. In the future, the two parties will jointly create a perfect copyright protection system for copyright owners, enhance the awareness of intellectual property protection of enterprises, and explore in the field of digital copyright. More possibilities to open a new era of intellectual property development in China. With the development of the times, copyright has become an increasingly important factor of production and wealth. As a veteran in the industry, Huidian.com naturally will not let go of the new technology of blockchain. Shenzhen Agricultural Products Group Co., Ltd. (hereinafter referred to as “agricultural products”) is an agricultural company controlled by the Shenzhen State-owned Assets Supervision and Administration Commission. 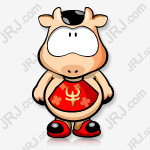 In addition, the agricultural products hold 39.2927% equity of Zhongnong.com, and the current agricultural products intend to publicly transfer 8.36% equity of Zhongnong.com, this matter is underway. At the beginning of this year, Zhongnong.com announced the launch of a large-scale agricultural product blockchain alliance in Nanning, China. At the same time, Zhongnong.com also released the White Paper on the Blockchain Service Platform of Zhongnong.com, and described the Z-BaaS platform of Zhongnong.com. The latter is a real and effective data sharing based on the alliance chain. An efficient collaborative blockchain platform with lossless value. On February 6, 2018, Ping An, a technology company owned by Ping An, officially launched a breakthrough solution for the blockchain, the credit chain. Up to now, this platform has been implemented in the fields of supply chain, blockchain trade, smart medical wisdom and environmental protection. Ping An has previously split its four subsidiaries and plans to list in Hong Kong. These include Lu Jinsuo, Ping An Good Doctor, Financial Accountant and Ping An Medical Health Management. It is understood that the financial account of the Hong Kong IPO in the second half of the year, the proposed financing of 1 billion US dollars. The Tianjin Port Blockchain cross-border trade platform is also the filing project for Ping An’s account. At the end of 2018, SF's new retail project “Fengbo GO” based on blockchain technology was officially launched. Based on the transparent, non-tamperable and traceable blockchain technology, “Folly Go” builds a full traceability system for the supply chain of goods, and opens up the supply chain of goods through the extension of the transportation link, and enhances the transparency of the supply chain through multi-party information monitoring. The purpose of credibility has solved the industry pain points of cross-border commodity identification and made consumers more comfortable. The main body of the record "digital identity" is Weiwei (Shenzhen) Network Technology Co., Ltd. (hereinafter referred to as "micro-bit"). Micro-bit has been led by well-known investment institutions and listed companies, including Shenzhen Venture Capital, Guangdong Branch Finance, China Telecom, Quanzhi Technology, etc. In the field of digital identity applications in blockchain, Microbit Technology is far ahead. In terms of landing application, the “Business Card Case” of WeChat applet was used as the entrance of Dapp to build an identity card product. The business card is chained to protect the business identity data and social relationship chain of the enterprise; the distributed feature solves the architectural problem that the traditional SaaS service is difficult to self-certify, realizes the identity data confirmation, and opens a new business model. At present, there are thousands of well-known enterprises/institutions connected, including China Ping An Group, SF Group, OCT Group, Zhongyuan Real Estate, Guangben,China Life InsuranceChongqing Bank,Southwest SecuritiesGuotai Junan, the Guangzhou Public Security Bureau, Chongqing Public Security Bureau, more than a million Paid License. It is the first Dapp to use the blockchain technology to access small programs. Sifang Jingchuang began to lay out its blockchain technology as early as 2016, and initiated the establishment of a financial blockchain cooperation alliance (referred to as “Golden Chain Alliance”) as one of the 25 sponsoring member units. In 2017, Sifang Jingchuang cooperated with IBM Hong Kong to develop a project cooperation agreement and signed a business cooperation agreement to promote the development of the blockchain in Hong Kong and the banking industry. In the same year, Sifang Jingchuang announced the successful implementation of the first project of MVP, which was co-operated with IBM Hong Kong, into a practical application. This project is the application of blockchain technology in the banking insurance business. In December 2017, Golden Chain Alliance launched a financial upgrade version - FISCO BCOS based on the BCOS platform. The Lexun Square is a block-chain platform-level application for individual users using FISCO BCOS as the underlying platform of the blockchain. The Lezhifang Talent Activity Platform is based on the alliance blockchain of enterprises, associations, institutions, associations and other parties. Based on the integral incentive model of interactive incentives, it provides public welfare and corporate recruitment, forum meetings, and training for the talent community. And other event services. Bubi (Beijing) Network Technology Co., Ltd. (hereinafter referred to as “Bubi”) is a leading blockchain financial technology company in China, focusing on blockchain technology and product innovation. It has dozens of core patent technologies and development. A highly scalable, high-performance, high-availability blockchain infrastructure service platform. The Bubi blockchain has been widely used in digital assets, trade finance, equity bonds, supply chain traceability, business points, joint credit, public notarization, electronic invoicing, data security, etc., and is in the mainstream of financial services such as exchanges and banks. The organization conducts application testing and testing. Blockchain company Bubi completed A financing in November 2017, totaling 100 million yuan, and was invested by Xinlian Venture Capital, Pangu Chuangfu, Bojiang Capital, Changjiang Guohong, Buchang Group and many other institutions. Previous rounds of capital investment institutions Kai Fu, China Merchants Venture Capital, the investment pillar, universal distributed capital, capital lit all continue with the vote. Bubi and Feitian Integrity are strategic partnerships. The two sides have extensive cooperation on "core technology and products", "identity authentication and private key protection". Quality chain is to create a wave of third-party data total factor quality public service platform, to improve product quality as the core, the use of cloud computing, block chain, big data and advanced artificial intelligence techniques, integration of government, enterprises and testing services Organizations such as consumers, forming a closed-loop management of the whole life cycle of all-factor quality from production to consumption, and building a quality improvement ecosystem that is multi-participating, interconnected, and shared. Establish a quality value linker that integrates government, business, testing organizations, and consumers. Chain must have learned from the official website of the quality chain, the platform on chain companies, including Gree, Midea, Vantage,Mona LisaTiles, Dongpeng tiles,Tsing Tao beerWait. The essence of the quality chain is traceability. The main body of the “Digital Authentication Service Platform” is Shanda Diwei Software Co., Ltd. (hereinafter referred to as “Shandong Dawei”), which is a listed company of the New Third Board. The chain has to pay attention to the fact that Shanda Diwei has a state-owned background. The major shareholder is Shandong Shanda Group Co., Ltd. (hereinafter referred to as “Shandong Group”), which is a wholly state-owned company funded by Shandong University. In addition, Shanda Group also holds 29.89% of the listed company Shanda Walter, while Shanda Walt's shareholders have shares in Shanda. Shanda Diwei has a total of 3 blockchain information services for Dawei Chain, Dawei Chain Public Service Platform and Dawei Chain Digital License Public Service Platform. Shanda Diwei can provide blockchain total solution services covering infrastructure, technical services and application operations. The alliance chain platform “Dawei Chain” has successfully operated on the domestic mainstream public cloud and government cloud platform such as Unicom Cloud, Telecom Cloud, Alibaba Cloud, Huawei Cloud, etc., and realized electronic in the fields of smart government, smart medical care, and smart power. Successful application of licenses, prescription circulation, electronic contracts and many other scenarios. The sea chain is an open blockchain alliance. The sea chain relies on Haier Group to try to build a trust platform between suppliers and upstream and downstream enterprises, and is committed to data sharing and results sharing in the manufacturing industry. The chain has noticed on its official website that the sea chain platform has opened the entrance to “Haier employees” and “suppliers”. It can be understood that the sea chain is a solution for Haier Group to optimize the industrial chain and information transmission by relying on blockchain technology. First Travel Home (Guangzhou) Blockchain Technology Co., Ltd. is a subsidiary of First Travel Home Inn Group. The company relies on BTG's Home Inns Group to have more than 400 cities, more than 3,700 hotels and over 100 million members. In the middle of 2018, First Travel Home Inns Group and BestApp Company established the first blockchain research center in the hotel industry. As the first hotel group to lay out the blockchain, BTG is taking the lead in combining cutting-edge technology with members, points, hotel scenes and customer eco-depth. Chain integration is one of the research results of the company's "blockchain + integral" direction. The chain has learned that “chain points” hope to build a point-based distribution, management and distribution network based on blockchain. Enterprises can easily join, and integrate internal and external enterprises to carry out the issuance, trading, exchange and management of points, and truly realize the points. Interchange between each other. For the form of such points, companies such as Tianya and Thunder have tried. This form is free on the edge of the law. Its function is similar to that of digital currency. When it is not involved in “currency”, this system can be freely The ecology works inside. One of the things that the blockchain BaaS platform in China is doing is to realize the “value exchange of digital life”. Genes record the evolutionary history of Earth's life for billions of years. The diversified genetic information of hundreds of millions of species is the database. Scientists use digital sequencing technology to digitize species, then conduct data analysis and value mining to recognize human beings and the earth. Blockchain, as a combined innovative application of distributed storage, peer-to-peer transmission, consensus mechanism, encryption algorithm and other technologies, provides a new solution for personal data autonomy and cross-institutional shared exchange. Huada Gene has been deploying blockchain technology since 2018 and has joined Hyperledger. In their white paper, it explains the blockchain and cryptography in life big data sharing, bio-intelligence calculation, personal health incentives, etc. Practical examples of actual application scenarios. In the view of Huada Gene, if the breakthrough of biotechnology (BT) achieves accurate quantification of life big data, a new generation of information technology (IT) represented by blockchain provides the pricing and exchange of life value. The necessary infrastructure. According to its official website, the official version of the blockchain BaaS platform V1.1 will be released in June 2019, providing a private data collaborative computing solution based on the blockchain of Huada. 5 brokers first reported hi! The bull market is caught off guard and the bond industry is sent a good harvest in March. Gree Group 40 billion transfer Gree Electric Dong Mingzhu why rare silence?